Workplaces cannot be without employees whose attention is called by their employer in order to issue a warning. 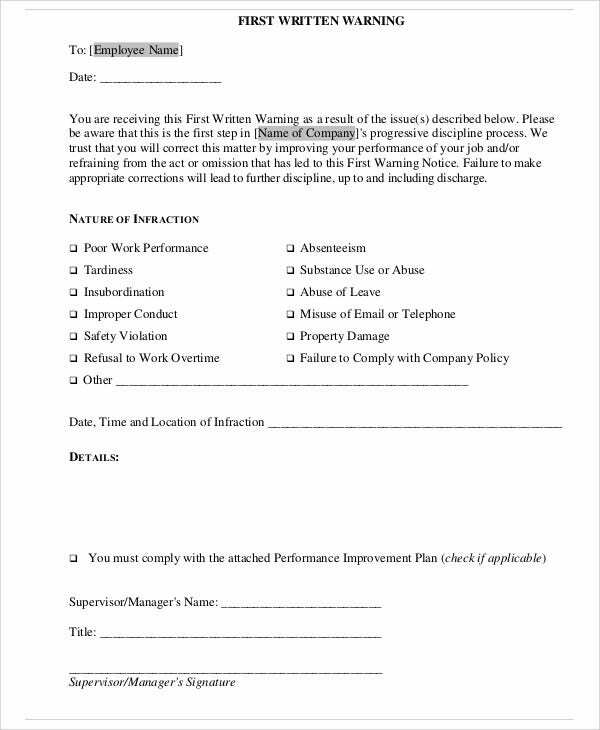 It is therefore only proper that employers prepare employee warning notice templates for whenever a situation calls for it. Using such templates come in handy by the time warnings are given to multiple employees in a certain workplace. A two-week notice may be provided to employees in case of a probable warning that could come up beforehand. 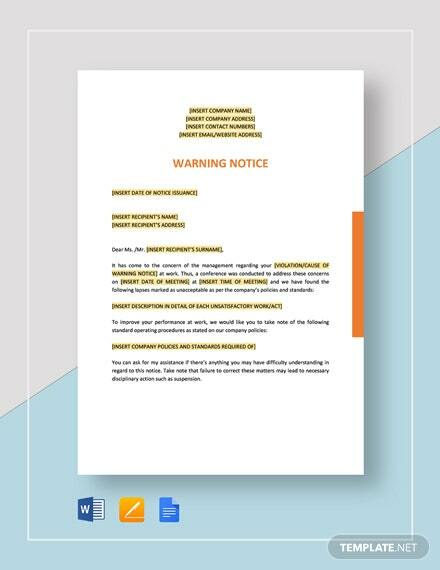 There are many reasons why employers give away warning notices reflected in notice templates. 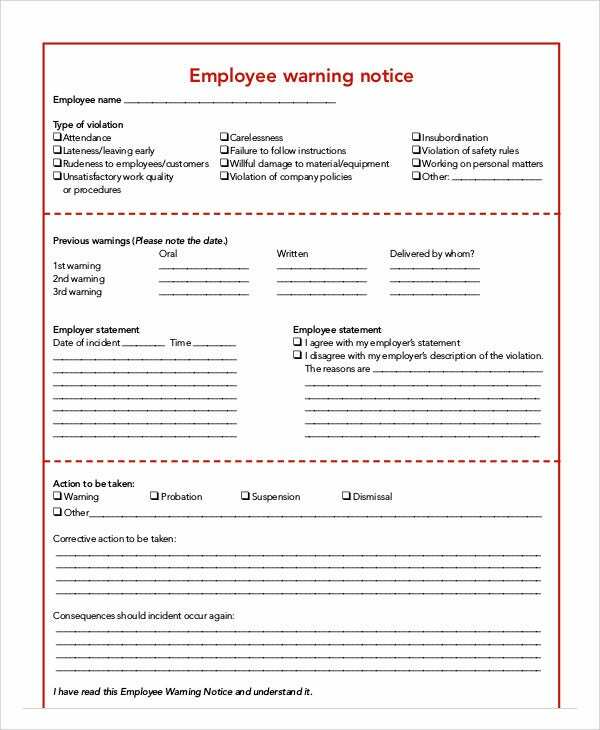 An employee warning notice that isn’t dealt with accordingly may lead employees quit without notice. 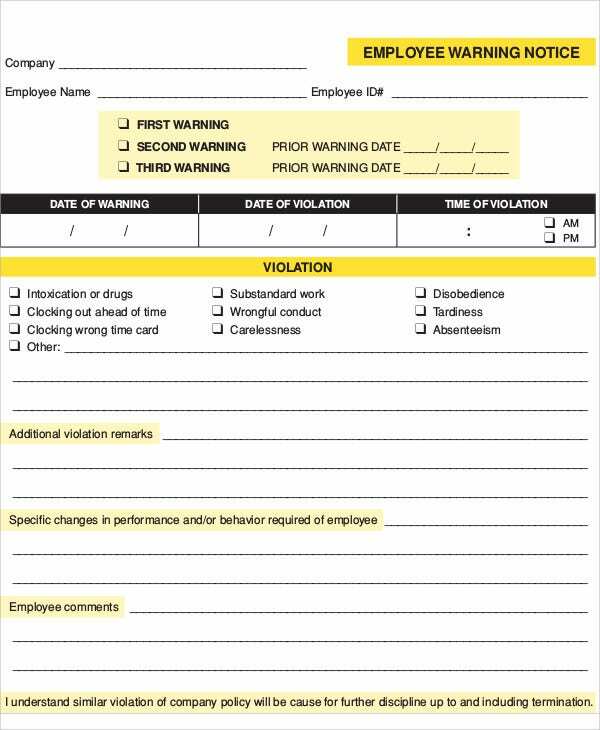 An employee warning notice serves a means of communication between an employee concerned and his or her direct employer. 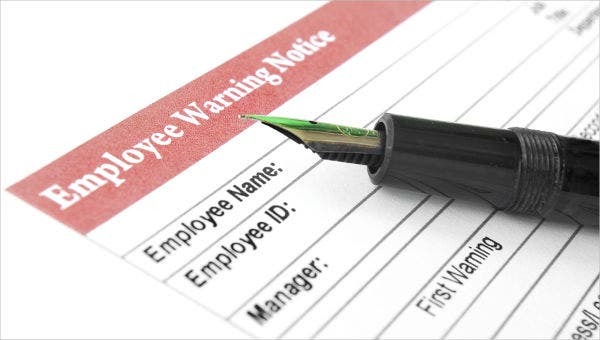 It is employer prerogative to be able to generate an employee warning notice when the need for it arises. Facts – Employers must look into the preliminaries first. It is important that employers look into facts and verify most especially when terminating employees. Upon confirming and evaluating facts, an eviction notice template may be issued to pursue credible warning. Employee Identification – The warning notice should be handed to the right person it is addressed to. 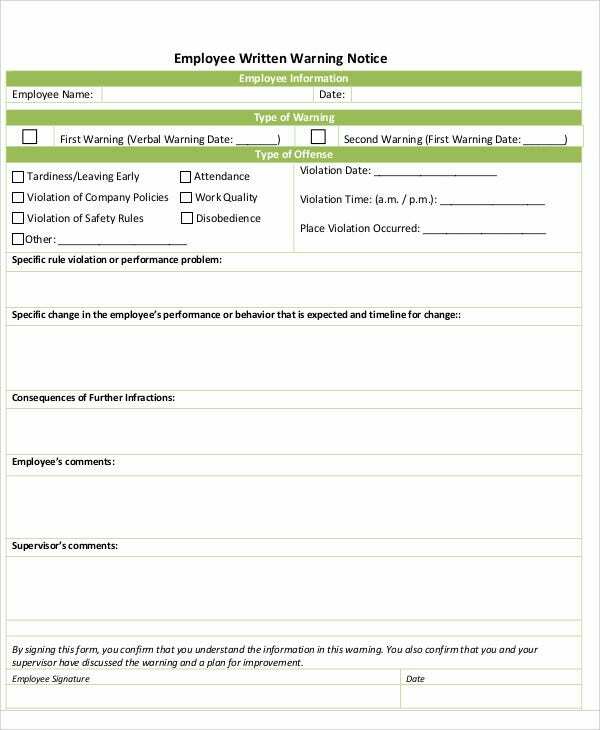 As an initial move in writing the warning notice, identify the employee who will be receiving the warning notice. 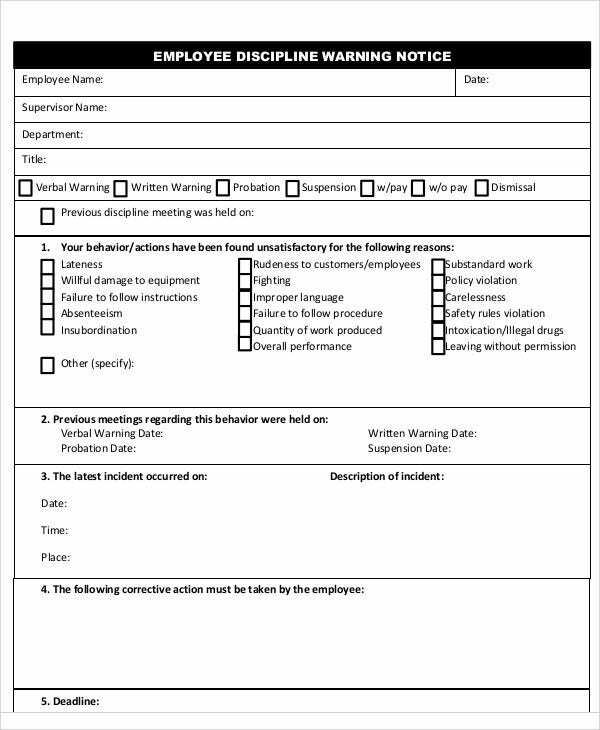 Subject – Employees have the right to know what the warning notice is all about most especially as it concerns specific people. A short description of the warning notice should suffice as a subject. Similar to subjects written in notice of meeting templates, employees would already know the agenda of the meeting. Content – Following the subject could be a set of instructions as content or purely information supplementary to the warning notice. Employers should always see to it that they write employment warning notices with conviction. It is for these reasons that such warning notices should be confirmed as legit. Write briefly. A wordy notice may be too boring to read and the recipient may not be able to grasp the gist of the warning letter just because it is too lengthy. If you need to write a two-week notice letter as a warning, see to it that you are straightforward in terms of content. Leave official note of instructions. 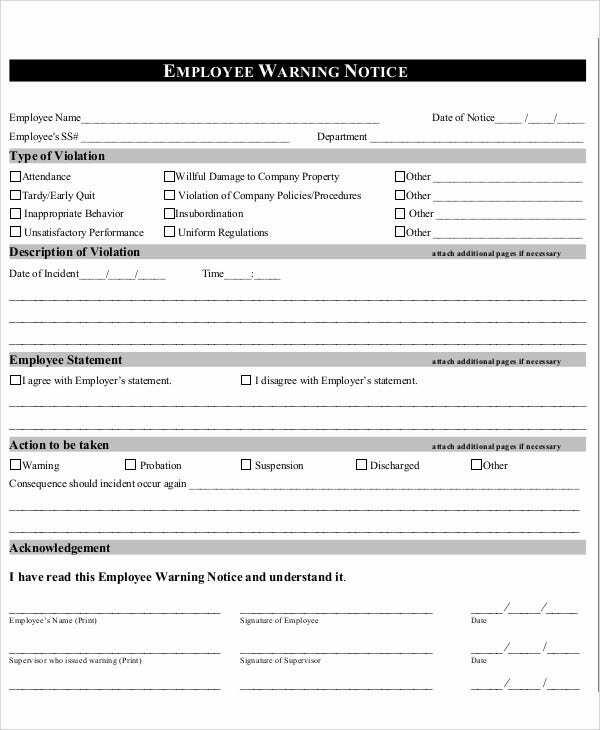 A personal note of instructions is expected to be seriously taken by the employees subject to a warning notice. An official note of instructions makes it more believable for anyone who reads the warning notice. Provide and specify alternatives. Upon issuance of a warning notice, specific alternatives should also be provided to make up for the the violations and other unwanted employee activities that led to a warning notice. It is fair enough to provide alternatives in a warning notice first before recommending an employee to hand in a resignation notice fashioned after these resignation notice templates. 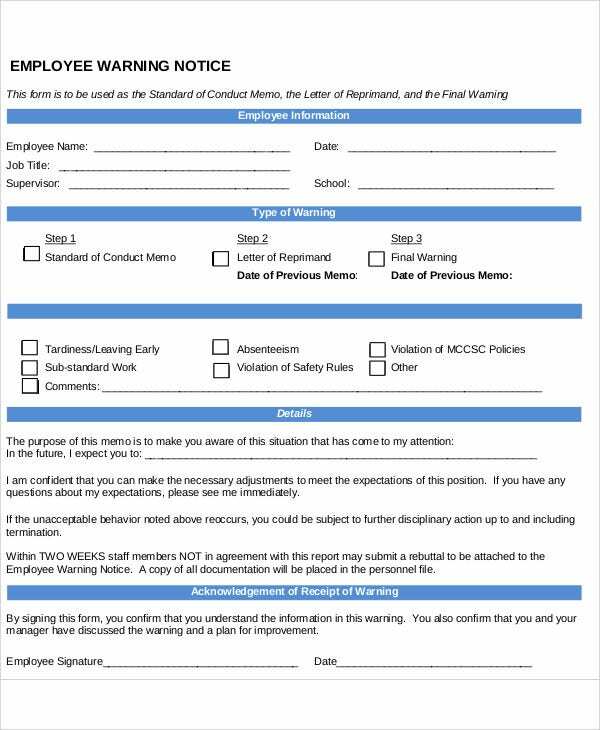 An employment warning notice should be well-written at all times in order to establish better communication and understanding between the employer and the employee.